Diploma Trainee Mechanical - Full time regular Diploma in Mechanical / Production Engineering with minimum 70% marks. Diploma Trainee C&I - Full time regular Diploma in Instrumentation/Electronics Engineering with minimum 70% marks. Diploma Trainee Mining - Full time regular Diploma in Mining / Mining & Mine Surveying Engineering with minimum 70% marks. Relaxation for SC/ST/PwBD (where vacancies are identified): Pass marks Relaxation for Land Oustees: 50% marks. 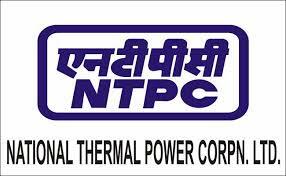 Pay Scale: Selected candidates will undergo training for a period of 2 years at various NTPC sites and will be paid a consolidated stipend of Rs.15,500/- per month. On successful completion of training, these candidates will be absorbed in the pre-revised pay scale of Rs. 15500-3%-34500/- (W7 grade). The final place of posting will be allocated after successful completion of the training. The wage revision is due w.e.f. 01.01.2017.